The term dime novel is often used in a negative context to describe indulgent, hurried material. Hell or High Water looks that way on the surface. And then we see the first frames of a deserted West Texas, a bank’s outside wall tagged in hasty spray paint with the words, “3 tours in Iraq but no bailout for people like us.” Not only does the shot foreshadow the omens to come, it importantly connects this wasteland to a once prosperous past. People feel cheated, swindled, bent over by the American financial system. 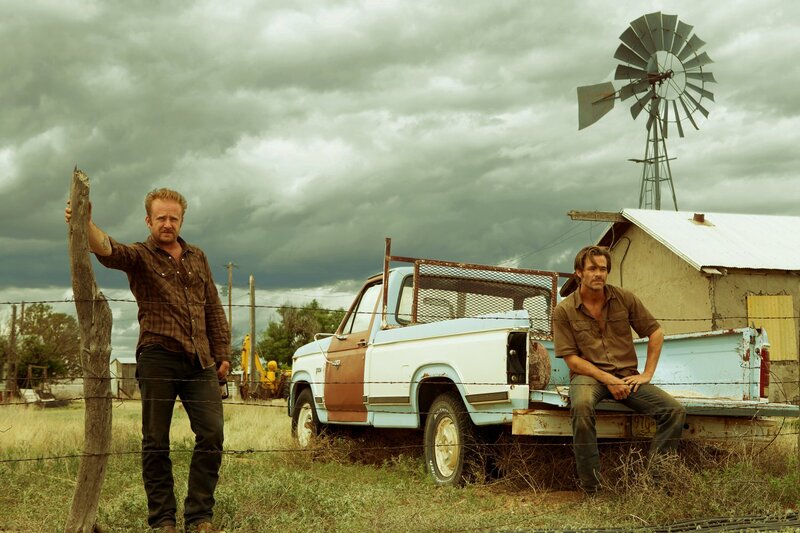 Hell or High Water is as timely, telling, and masterfully crafted a film as you’ll see this year. Cowpoke brothers Tobey (Chris Pine) and Tanner (Ben Foster) hatch a string of bank heists. All loose money from the drawer, never taking traceable cash. They hit one institution after another leaving only a paper trail of bills flying out of the car window mid-getaway. 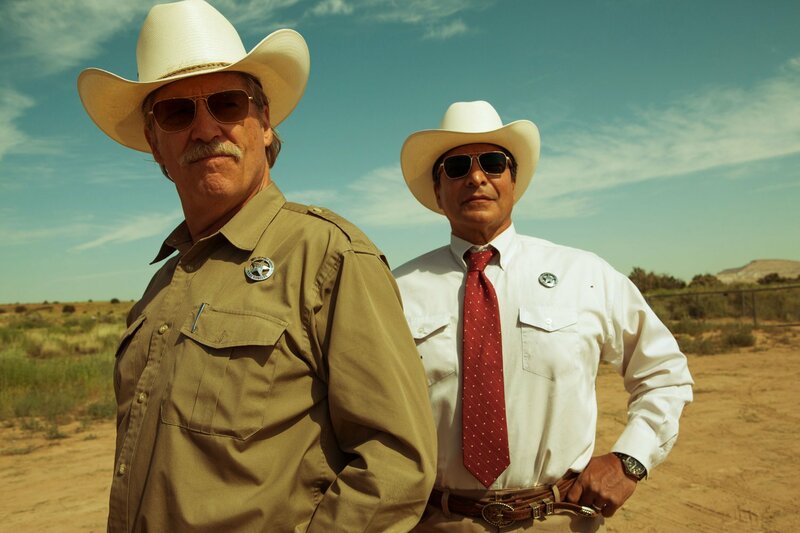 Soon to be retired Texas Ranger Marcus Hamilton (Jeff Bridges) and his partner Alberto Parker (Gil Birmingham) are hot on their heels though, knowing that these boys are trying to raise a certain amount. In the Texas Midlands, there are only so many places to rob. 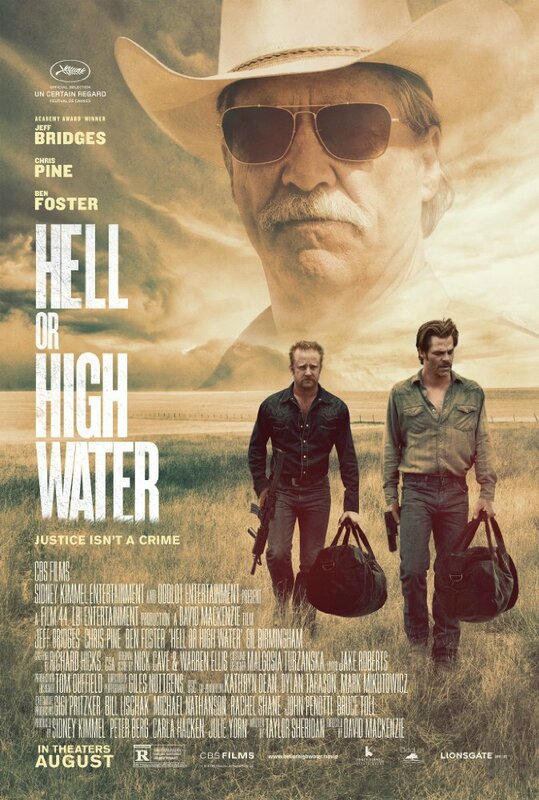 Hell or High Water might be the best paced movie I’ve seen this year, perfectly escalating the drama while taking the time to fully develop its characters. We get a stakeout when inferior films would insert a shootout, a heated argument instead of an all-out brawl. Taylor Sheridan’s script, in addition to his work on last year’s Sicario, is an instructional guide for the art of cinematic writing. Its dark, wry, and contemplative outlook conveys the dueling themes with a stark and jocular elegance. Those themes converge through the two entwined storylines all before building to an explosive head. Toby, with the help and knowledge of his ex-con older brother Tanner, wants to preserve the family ranch following their mother’s death before it reaches foreclosure. There’s liquid gold in those plains, a harbinger of wealth and prosperity he hopes to pass on to his two sons. For Toby, establishing a proper legacy is as important as curing the disease of poverty. Meanwhile the Rangers, aided by local NRA advocating vigilantes, doggedly pursue justice as a means of keeping balance, which is fueled by their prideful ownership of these depots. Neither side can wash their hands clean. Every well-intended action by the brothers distances them further from honor and towards moral decay. The townspeople defend “their land,” a hypocrisy pointed out by Native American Alberto (an uncanny stand in for the Dakota Access Pipeline Protest). People like to walk the line of the law so long as they get to draw it. David Mackenzie, whose brutal and undaunted work on 2013’s Starred Up (a personal favorite from that year), again directs with uncommon poise. He’ll be one of America’s most in demand directors before too long. I think that’s in part due to his command over a picture’s tone, but more so because of the committed performances he draws out of his cast. Bridges could earn a Best Supporting Actor nomination in an arrogant and vexed role. Birmingham brings a soft humanity. Pine excels as an ill-fated man influenced by sin while Foster completely descends into a maverick entirely controlled and manipulated by it. Seeing four performances of such high-caliber in one movie just doesn’t happen anymore. And that’s because of the smart screenplay, the first-rate directing, and the sharp editing. Everything comes together in one concise, layered, and astonishingly well executed story. I’ll be damned if Hell or High Water isn’t in my top ten films of 2016 by year’s end.